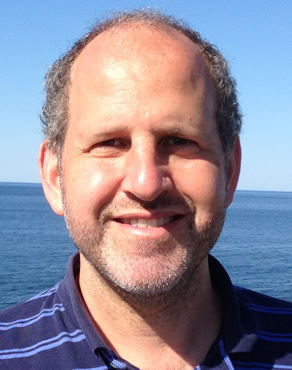 Warren S. Goldstein, Executive Director of the Center for Critical Research on Religion (http://www.criticaltheoryofreligion.org), is a Visiting Fellow of the Committee on the Study of Religion at Harvard University and a Religion Fellow at Boston University’s School of Theology. His Ph.D. is from the New School for Social Research. He is Co-Editor of Critical Research on Religion and Book Series Editor of “Studies in Critical Research on Religion.” While his research aims to develop a critical sociology of religion as a “new paradigm” in the sociology of religion, he is more broadly interested in the development of a critical paradigm in the study of religion as a whole. He is also co-chair of the Sociology of Religion (SOR) group in the American Academy of Religion. * Part 1 of this interview can be found here. Matt Sheedy: In part one of this interview, you draw attention to the second issue of CRR, guest edited by Rhys Williams, focusing on a critical sociology of religion. Here you note that there has been a lack of critical research in the sociology of religion and that one of the aims of CRR is to push this particular sub-field in that direction. With reference to your own work in this area, could you elaborate on what you think some of the problems are within the sociology of religion and how a more critical approach, as you lay it out in question one, can help to remedy this lack? I came into sociology of religion via my doctoral dissertation at the New School for Social Research which was titled “Messianism and Marxism: Walter Benjamin and Ernst Bloch’s Dialectical Theories of Secularization.” My thesis advisor was José Casanova. While I ended up publishing several articles out of it, including a synopsis in Critical Sociology, I encountered much resistance to this line of research in mainstream sociology journals. I still recall the comments of one reviewer that Ernst Bloch would be better off left to the mothballs. I found this ironic since many of Ernst Bloch’s works have been translated and published by MIT Press. I was to discover that not only was the attitude of this reviewer prevalent throughout the subfield, but that it signified something more endemic to it. While Marx, Weber, and Durkheim provide the theoretical and methodological foundations for modern sociology, in sociology of religion it is only Weber and Durkheim. Due to Marx’s atheistic position, most of those in the subfield, who are quite sympathetic to religion, are hostile to Marxism, no less a Marxist sociology of religion. The excuse, which is in part true, is that Marx paid very little attention to religion. Nevertheless, one can only understand the early Marx if one looks at him in relation to the Left Hegelians (Strauss, Bauer, and Feuerbach) whose primary focus was on religion. But the problem goes beyond this. While Weber and Durkheim provide the foundation for modern sociology of religion, the contemporary theoretical schools in the sociology of religion (functionalism, social constructionism/phenomenology, and rational choice) roughly follow them. What has been lacking in the sociology of religion is a critical approach. Most of the research in the sociology of religion contains implicit assumptions that religion is good for you and few assess its negative consequences. The leading journals in sociology of religion have a primary focus of religion in North America and pay little attention to religion in the rest of the world. Much of this research is quantitative with qualitative research taking second seat. There is very little historical sociology of religion and very little is theoretically guided (unless it employs rational choice). As stated earlier, my own research started with Benjamin and Bloch’s mixture of Judeo-Christian Messianism and Marxism. I explained the relationship between the two with secularization theory–that Marxism is a secularization of Judeo-Christian Messianism. With the prompting of Casanova, what I discovered was that Benjamin and Bloch’s understanding of the process of secularization was not linear, but rather they had a dialectical understanding of this process. What I subsequently attempted to develop was a dialectical theory of secularization. I did this by examining the works of the old and new paradigms in the sociology of religion as well as that of Weber and Durkheim. Through this research, I have identified several different patterns of secularization. These include a linear pattern, a cyclical pattern, a spiral pattern, a dialectical pattern and a paradoxical one. While secularization does occur in a linear manner over shorter periods of time, in the long run it is a contested process. Part of my understanding of secularization is that internally to religion, it takes the form of religious rationalization. Secularization is never really cyclical since we can never return to where we have started. Rather, it more closely resembles a spiral. This spiral is the result of a dialectic between secular and religious movements and countermovements. The solution to the paradox of sacralization is the understanding that secularization often takes place in a dialectical manner. I have taken this model and used it to examine secularization in Iran and China. I have also broadened this out attempting to develop more generally a critical sociology of religion. I have integrated conflict theory by taking it and applying it to religion. Conflict occurs along all sorts of lines–not only those of class, but race, gender, ethnicity, nationality, and religion. I have reinterpreted Weber and Troeltsch looking at their relationship to the historical materialists and the influence of German critical and dialectical thought upon them. Part of Religionskritik, is the critique of Marxism itself. If Marxism is indeed a secular religion, by its own internal logic, that of critique, it would call upon us to demythologize it, to preserve its rational kernel by stripping off its mystical shell. To do so, we need to place it and the assumptions it makes in historical context. Today Marxism has become its own worst enemy. It stands in the way over the very progress it seeks to attain. This is because too many embrace it as some type of religion rather than as a social scientific method. We need to learn from both its successes and failures in the past. Today, to transcend capitalism sounds like a utopian project. Socialism is more value rational than capitalism; the question is how it can also be more purposively rational. Likewise, revolutions only occur under particular historical circumstances and the amount of death and destruction that can occur from them should not be idealized. They are not a universal solution to every historical case but at the same time in certain situations, they are the best choice. I think that the only way that we can transcend many of the viscissitudes of capitalism, is first through a critique of Marxism. The general thread here is that of critique–of using a critical approach. A critical approach always reflects back on itself. This is how it transcends the boundaries of knowledge–by questioning its own assumptions. The critique is applied not only to religion but also to society in general–in order to move both forward. MS: What can readers expect in upcoming issues of CRR? What are some of the initiatives (e.g., in publishing, conferences, etc.) and collaborations (e.g., with other organizations) that you are working on and how do you hope to expand them in the future (e.g., through social media, research projects, etc.)? 1. Talal Asad, Wendy Brown, Judith Butler, and Saba Mahmood, Is Critique Secular? : Blasphemy, Injury and Free Speech, Reviewed by Matt Sheedy (University of Manitoba, Canada). 2. Jeremy Stolow (ed. ), Deus in Machina: Religion, Technology, and the Things in Between, Reviewed by Tom Boylston (London School of Economics and Political Science, UK). 3. Grace Davie, The Sociology of Religion: A Critical Agenda (2nd edn), Reviewed by Lee Kuhnle (York University, Canada). 4. Russell T McCutcheon and Craig Martin, with Leslie Dorrough Smith, Religious Experience: A Reader, Reviewed by Alison Robertson (Open University, UK). 1. Elliot Wolfson, A Dream Interpreted Within a Dream: Oneiropoiesis and the Prism of Imagination. Reviewed by Cass Fischer (University of South Florida, USA). 2. James E. Fleming and Linda C. McClain, Ordered Liberty: Rights, Responsibilities, and Virtues. Reviewed by M. Christian Green (Emory University, USA). For this issue, we are also currently editing a very lengthy book review by well known biblical scholar Richard Horsley (University of Massachusetts, Boston, USA) on the book made controversial by Fox News written by Reza Aslan titled Zealot: The Life and Times of Jesus of Nazareth. We have approved a proposal submitted to us which is titled “A Conversation with Culture on the Edge: The State of the Critical Study of Religion.” Participants in it will include: Russell T. McCutcheon (University of Alabama), Craig Martin (St. Thomas Aquinas College, USA), Monica R. Miller (Lehigh University, USA), Steven Ramey (University of Alabama), K. Merinda Simmons (University of Alabama, USA), Leslie Dorrough Smith (Avila University, USA), and Vaia Touna (University of Alberta, Canada). We are also tentatively planning to co-sponsor sessions with the American Academy of Religion Sociology of Religion and Comparative Approaches to Religion and Violence Groups at their November 2014 meetings in San Diego, California. We will probably also host a reception there. We are also tentatively planning to co-sponsor a session with the Critical Religion Association at the University of Sterling in the UK at the British Sociological Association Sociology of Religion Study Group in 2015. This entry was posted in Interviews, Matt Sheedy, Politics and Religion, Religion and Society, Religion and Theory, Theory and Method, Uncategorized and tagged Alain Badiou, Alison Robertson, Alwyn Lau, Brannon Ingram, Bruno Bauer, Capitalism, Carl Schmitt, Cass Fischer, China, Craig Martin, Critical Sociology, Emile Durkheim, Eric Bugyis, Ernst Bloch, Ernst Troeltsch, functionalism, Hanan Ibrahim, Iran, Jeremy Stolow, José Casanova, K. Merinda Simmons, Kenpa Chin, Lee Kuhnle, Left Hegelians, Leslie Dorrough Smith, Ludger Viefhues-Bailey, Ludwig Feuerbach, M. Christian Green, Mads Karlsen, Marxism, Matthew Chrulew, Matthew Engelke, Matthew Recla, Max Weber, Messianism, MIT Press, Monica R. Miller, New School for Social Research, Pamela Klassen, Phenomenology, Randall Reed, rational choice theory, Rhys Williams, Richard Horsley, Roland Boer, Russell T. McCutcheon, sacralization, Sadia Saeed, Samta P. Padya, secularization, Shuangli Zhang, Social Constructionism, Socialism, Steven Ramey, Tilahun Bejitual Zellelew, Tom Boylston, University of Sterling, Vaia Touna, Vincent Lloyd, Walter Benjamin. Bookmark the permalink.